As an 8mo pregnant mother of two 9 year old children, I naturally try to do right by my kids. This means constant research into everything child related. As any parent knows, as your children get older, you become a bit more lax about certain issues as they aren’t known as ‘dangers’ anymore. For example, we don’t get worried that our 9 year olds will die in the middle of the night from a sudden death syndrome. Every expecting parent knows that the amount of information that is pumped into our brains is more than any one person can handle. You can eat this, you can’t eat that. You have to have enough of this nutrient and stay away from this chemical. You can clean up dog poo but not cat pee. The list goes on and on and on. In my efforts to be a healthy mom, I have stumbled upon things that have me a bit baffled. All my life I’ve been told that vaccinations are good. In fact, I’ve been afraid to not get them. But, my fear of needles has also been quite a bit stronger. When I was 17, I just opted out of getting the shots you are typically supposed to get when you graduate and plan on going to college. I had other plans and they didn’t involve getting stuck with a needle I was afraid of. When I had my son a few years later, fear of needles was my overwhelming reason for deciding upon natural birth with midwives. Yea. You read that right. I preferred the pain of child birth over the pain of a needle. Now, as I am 9 years + away from when I gave birth last time, you could call me a bit more informed or educated. I concern myself with knowing what is and isn’t good for my body and then use that information to make wise decisions regarding what is wise for my children’s bodies. When my 9 year old son was a baby, I didn’t think twice about vaccinations. He got them. When my 9 year old step daughter was born, my husband didn’t think twice about vaccinations. She got them. It is what you’re supposed to do. I’ve been reading all of these articles, just randomly stumbling upon them, really, that debunk what the mass populace has been told about the efficacy of vaccinating our kids. In fact, I’ve discovered that vaccines are full of gross things like pig blood, monkey brains, mercury, aluminum, and even fetal tissue. This is just to name a few. I’ve also been learning that vaccinations are not immunizations and that many people who have been vaccinated still get the disease. For example, DTP is supposed to prevent whooping cough but unfortunately it has been documented to cause children to get it. I don’t know. That seems a bit backwards to me. So, I am throwing this article out into cyber space to see if any others are in the same boat as me and have any nibbles of information they want to share regarding their own personal research into this issue. I currently have 12 windows open with vaccination findings and have been reading furiously. 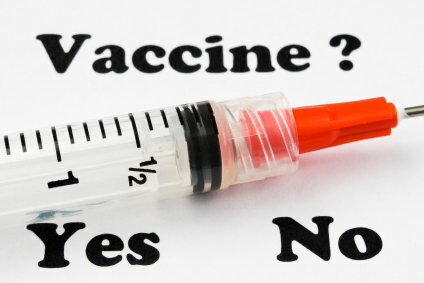 I’d love to hear your thoughts if you have a moment to share, but I am not truly interested in mere opinion based on what you do/don’t think is accurate because all along I “thought” vaccines were good until I started doing legitimate research. I truly am looking for help from those who have actually done ground work on this particular topic. The other issue I’m having is that if President Obama were re-elected, he would be putting into act a policy that makes vaccinations mandatory. For some reason, my ability to make an informed decision about something that would be injected into my body or my children’s bodies concerns me greatly and has caused me to dig deeper on this issue.